When it comes to Ben Tre, our mind is easily popped up with an image of many intricate canals, rivers, and lush fruit gardens. As one of the Mekong Delta provinces in the Southern Vietnam, this sleepy and laid-back region is also well-known for friendly locals, sweet coconut candies, and the cradle of Dong Khoi. Every year, it has welcomed a number of visitors who are fond of a peaceful getaway away from the city’s chaotic vibe. 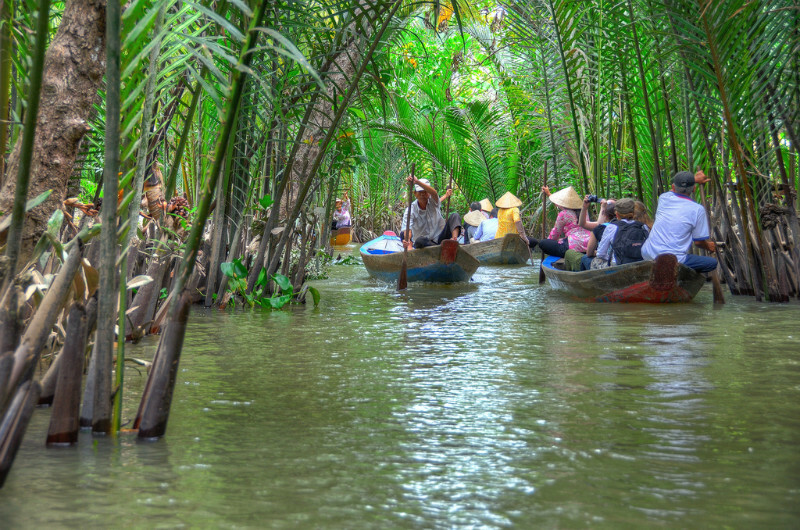 Ben Tre is surely well worth a visit, in terms of its unparalleled beauty, historical significance, and exotic cuisine! Cannot wait to discover this watery place by yourself? 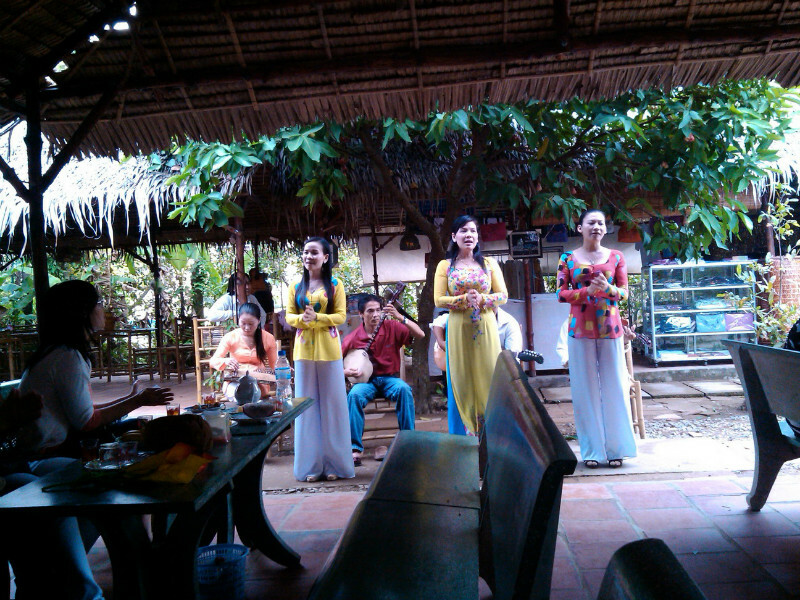 Then, Ben Tre travel guide on tops things to do below promises to cater for your need. The weather in Ben Tre is calm and comfortable all year round, which becomes an ideal spot for tourists to set foot in every time. However, it is better to avoid the rainy season (from May to October) because this time may cause a few difficulties during the boat trip. The most wonderful moment to enjoy abundant tropical fruits is from June to August or after Tet holiday where you will have an opportunity to spread your eyes over the Nghinh Ong Rite or Phu Le Pagoda Festival. Famous orchards (i.e. Tien Long, Cai Mon, or Tam Phu) will certainly bring you an exciting and unforgettable experience. 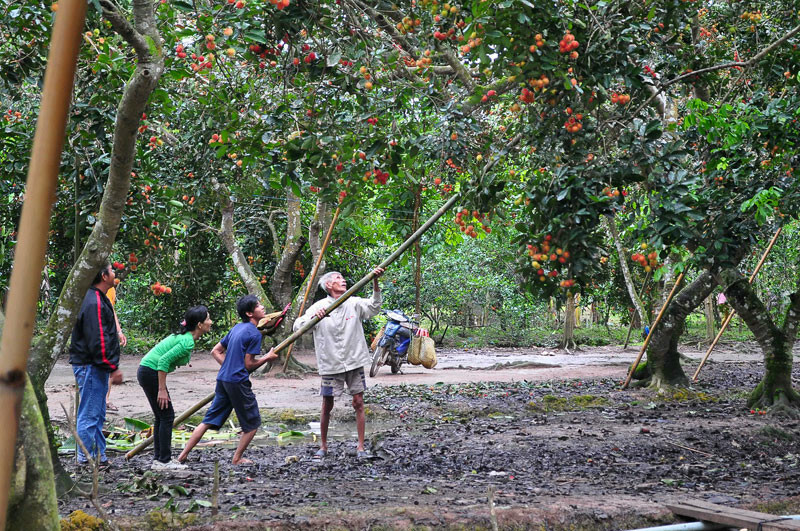 Ben Tre wins travelers’ heart by the haven of specialty fruits in which 41,000 hectares of orchards are likely to produce about 375,000 tons of fruits every year. There are many types of fresh fruits in the gardens for you to enjoy directly. 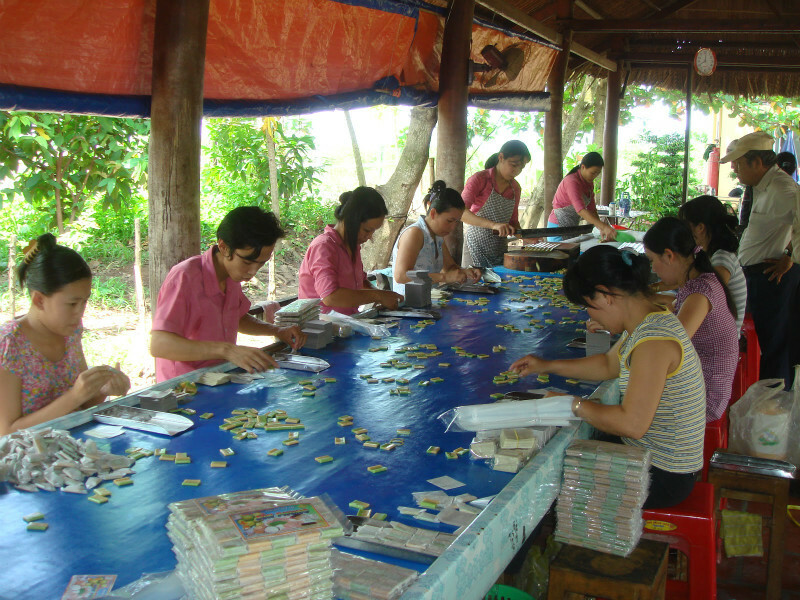 As the homeland of coconuts, a trip to Ben Tre will never be completed without an arrival to one of the coconut candy workshops. Such the candies are made in a very simple way. Locals will squeeze fresh grated coconut to get coconut milk. Then, it is mixed with sugar as well as boiled until it becomes thick. It is finally put on a mold covered with a layer of coconut oil before being cut into small pieces. During the process, makers usually use durian flavor or roasted peanut for a special flavor. So, those who are interested in exploring the lifestyle and culture of the locals should adopt a visit to reputable factories to gain hands-on experience of how people manufacture these sweet and tasty candies. Of course, it will be a nice idea to buy them as lovely gifts for your beloved families and friends. As a must-see place in Ben Tre, the garden is home to many different species of birds (like storks, herons, etc.) and rare animals. 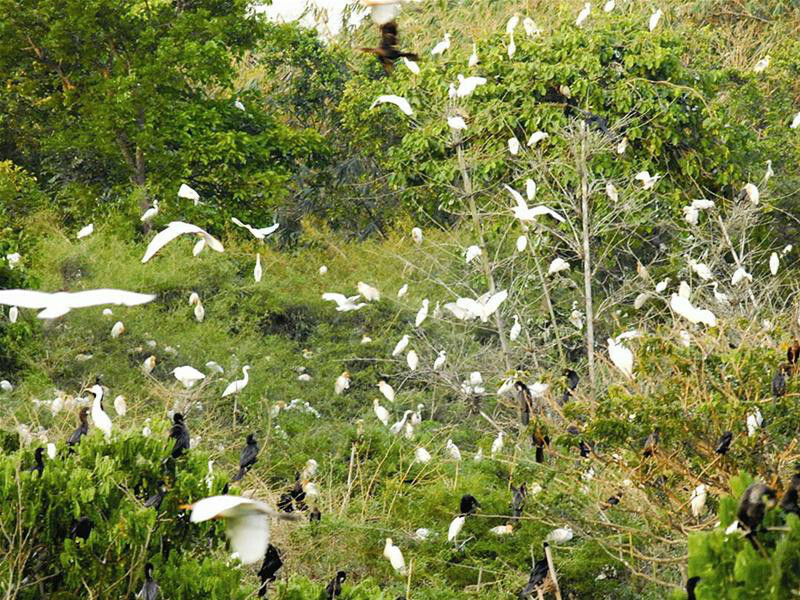 It is a good chance to learn the lives of thousands of birds on the tree and satisfy your photography favorite. Stopping by Quy Islet, Phung Islet, and Oc Islet is worth time and experience. While Phung Islet allows you to contemplate many magnificent architectures and some relics of the Dao Dua, you will freely savor yummy fruits, fresh food, as well as watch a show of "Don Ca Tai Tu" in Quy Islet. If you simply want to have an escape in a tranquil place with beautiful landscapes and eye-catching scenery, then Oc Islet will not make you disappointed! After a long day of discovery, let’s tickle your taste bud with some famous and traditional dishes here. 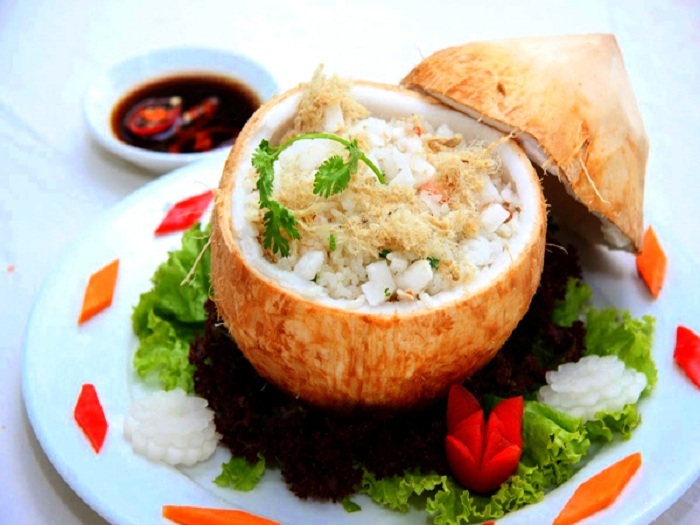 Coconut rice, or also called Cơm Dừa, is a special dish which cannot be found in any place in the country, but Ben Tre. The rice is usually cooked with the coconut juice that leaves sweet flavor on gourmets’ mouth! 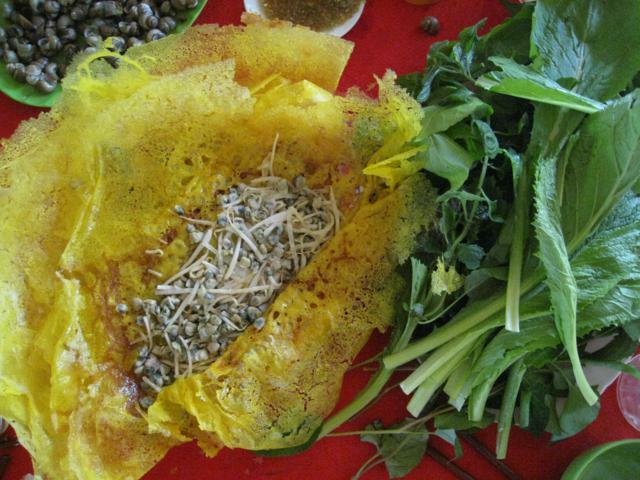 The second famous specialty here is My Long rice paper, or also known as Bánh Tráng Mỹ Lồng. This kind of paper wins an award for its fatness, softness, and irresistible smell when it is grilled on fire. 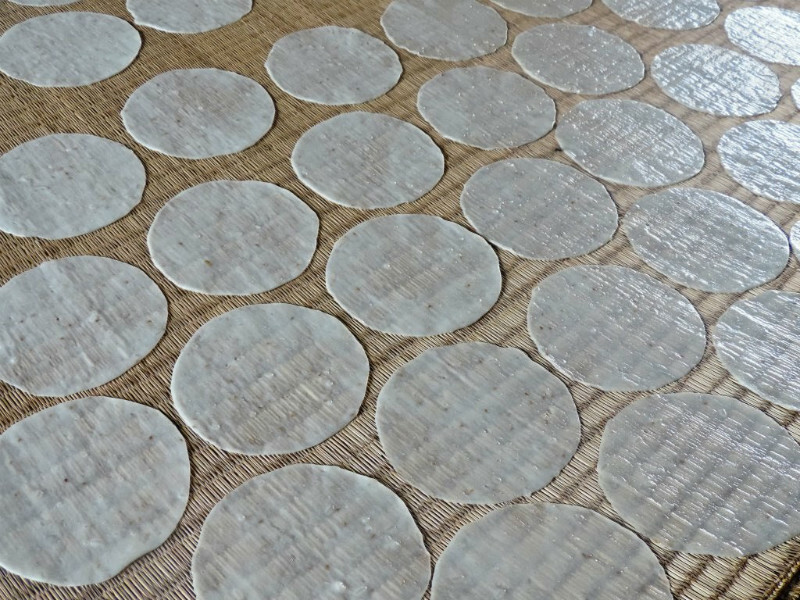 In general, there are 3 types of rice paper, including rice paper with milk, with coconut or with eggs. Stewed gobies with coconut milk, or also namely Cá Bống Kho Nước Dừa, are another type of delicious dish you should try once in a lifetime. After washing and cleaning gobies, the cook will stew them inside the pot of coconut milk with small fire. The food is ready when there is no milk left. 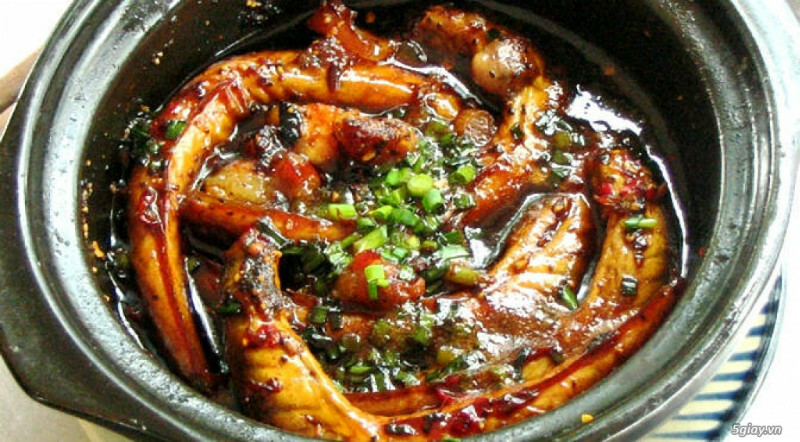 After cooked, the fish’s bones are very easily removed. Along with these dishes above, this destination also spur visitors’ appetite with many different exotic ones, such as Son Doc floppy cracker (Bánh Phồng Sơn Đốc), chicken with sweet taro salad (Gỏi Gà Trộn Môn Ngọt), rice snail with Vietnamese pancake (Bánh Xèo Ốc Gạo), paddy field crab hot pot (Lẩu Cháo Cua Đồng), danio dangila sour soup (Canh Chua Cá Linh), and so on! By and large, Ben Tre is really a stunning destination to discover and experience that promises to bring you deep expression and comfortable mind. Let’s come and feel its features and glamour right now!